No matter what diet you choose, daily exercise is also very important. 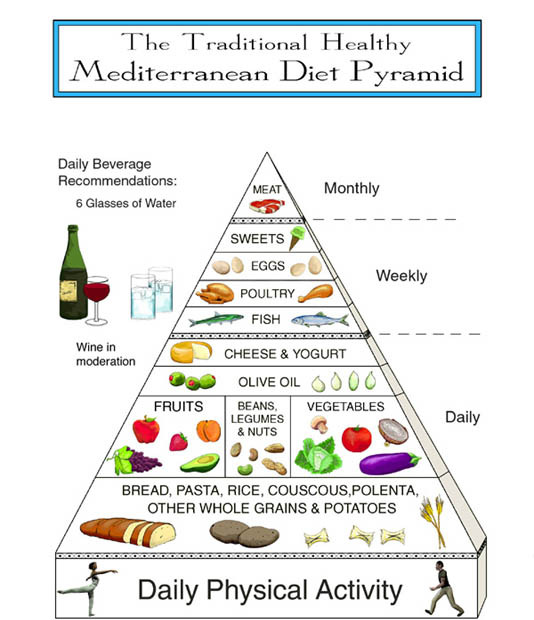 Pictured are three Food Pyramids, USDA, Mediterranean & Atkins. Which is best for you? These Super Foods can help you to live healthier & longer.